At the General Assembly 2018 in Marseille, France, Lóa Steinunn Kristjánsdóttir formally stepped down as President of the Board. Mrs. Steinunn Kristjánsdóttir was elected to the Board in 2012, and held positions on the membership committee and as Vice-President, before finally becoming President of the Board in 2016. In the past, she has been involved as a contributor to the web application initiative Historiana – Your Tool to the Past on rights and responsibilities. EUROCLIO is excited to welcome Mire Mladenovski as the new President of the Board. Having been elected as a Board Member in 2013, Mr. Mladenovski served as its Treasurer for four years, and has shown undying support for numerous EUROCLIO projects, most notably serving as an editor for Historiana. In addition to his work with EUROCLIO, he is one of the founders and current President of the ANIM (History Teachers Association of Macedonia), as well as having co-authored and edited supplementary teaching material for secondary school history curricula, such as Understanding a Shared Past, Learning for the Future and Ordinary People in an Extraordinary Country. 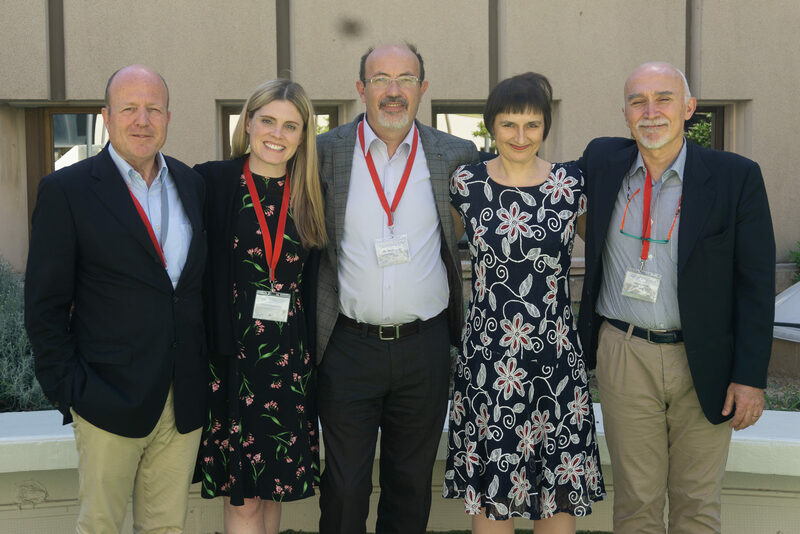 The EUROCLIO Board of Members is now composed of Mire Mladenosvki as President, Paolo Ceccoli as Vice-President, Riitta Mikkola as Treasurer, Sinéad Fitzsimons as Secretary, and Frank van den Akker as Board Member. EUROCLIO looks forward to a productive term under their leadership.